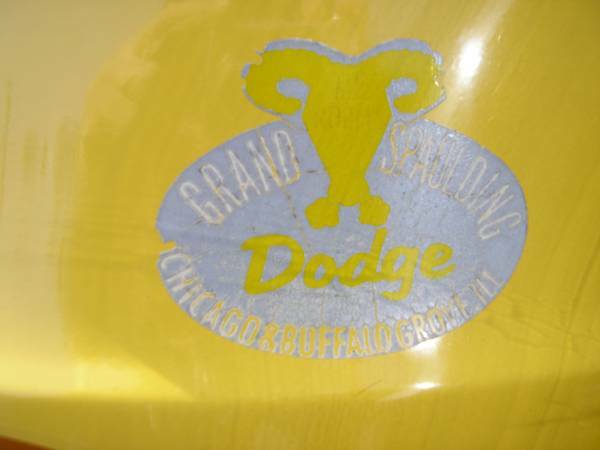 Grand Spaulding Dodge in Michigan, better known as Mr Norm’s in the hot rodding world, gained fame for their muscle car programs and tuning ability in the 1960s and early 1970s. When the EPA put the clamps on businesses like that during the decade of malaise, options were few. 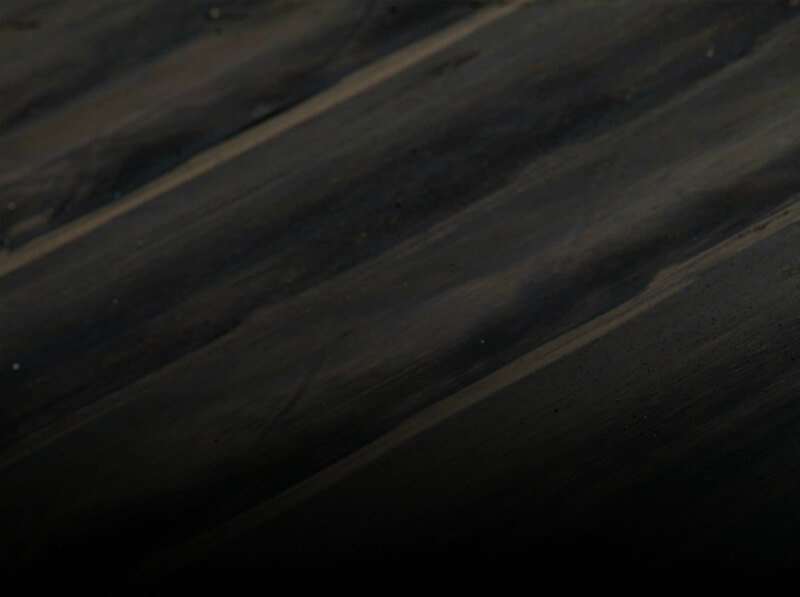 Some switched to doing truck stuff to help bolster the burgeoning 4×4 market back then and some went into the business of custom vans, which was a literally exploding subset of the culture at the time. 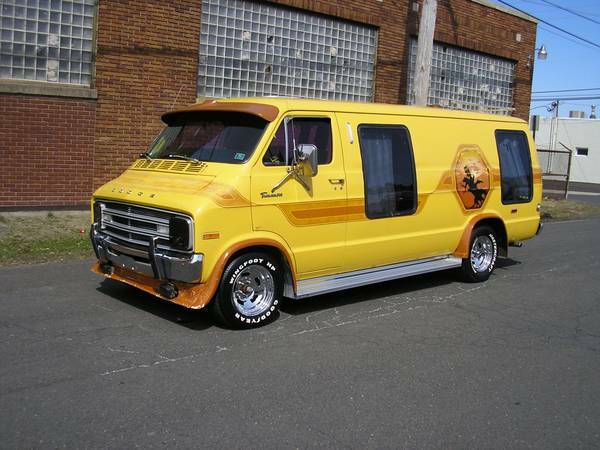 Grand Spaulding was one of those dealers that went into the van world and this is a 100% original example of a custom build from 1977. We think it kind of rules. 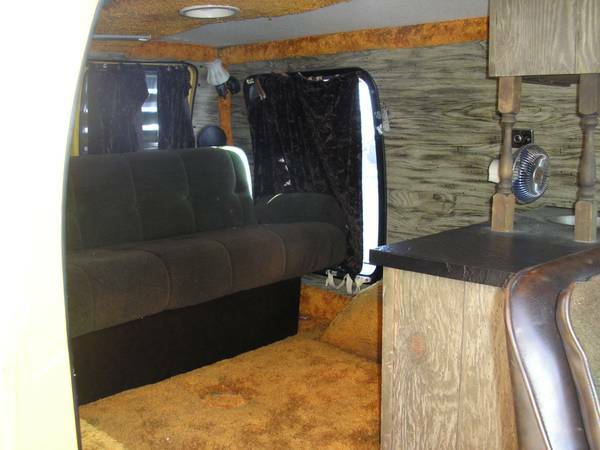 This van is in insane shape and looks to have been stored in a bubble for most of its life. Yes, it is cartoonish to the max, but in our eyes a modern version of a 1970s van is nowhere as cool as an ACTUAL 1970s van. The fact that this one is a Dodge makes it cooler, as does the mural, the chin spoiler, the headlight covers, and the largely intact paint. The huge windows are goofy and cool as are the running boards and eyebrow on the windshield but the real magic happens inside. The wood grain paneling, the bar, the swivel chairs, and huge couch in the back are all awesome. 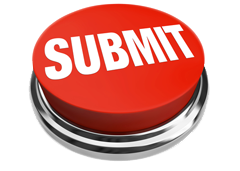 We know that this thing is not for everyone. We know that some of you violently hate the vanning era because you think it wrecked magazines like Hot Rod and other stuff but since we’re young enough that the whole thing happened before we were old enough to know it was going on, we’re taking a flyer on all that. 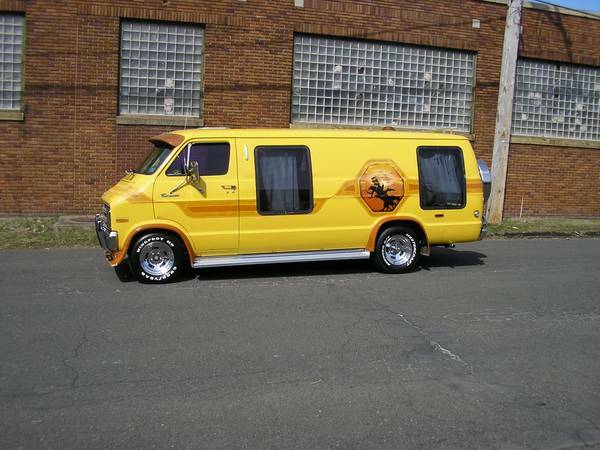 This is a neat van that would draw a huge crowd at car shows and events. It may make you cringe, but you have to respect the fact it is all original and pretty neat. 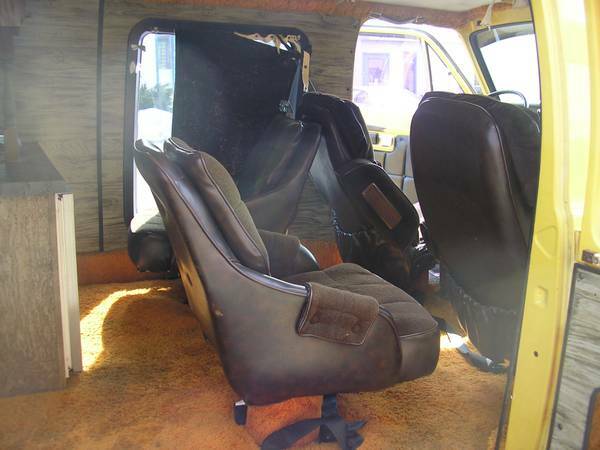 CL LINK: ORIGINAL MR NORM’S CUSTOM VAN – WOULD YOU ROCK IT? 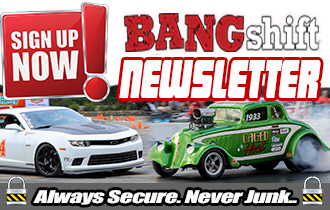 correction of an error (but does not detract from a good article and cool van)… Grand Spaulding Dodge/Mr. Norm’s was in Chicago…. at the intersection of Grand & Spaulding on the NW side of the city. 3300 W. Grand, in CHICAGO FREAKIN’ ILLINOIS! 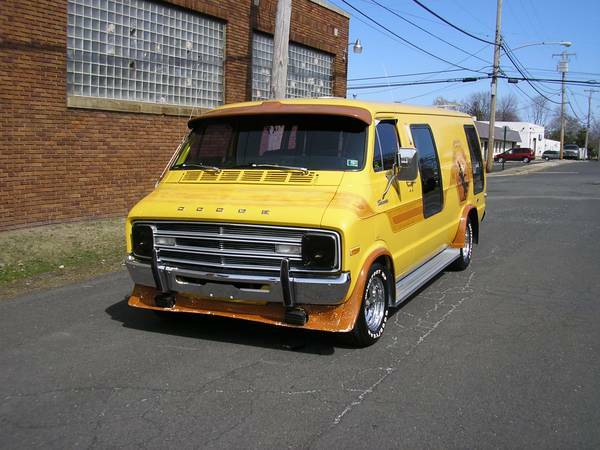 I’m not a fan of the van, but this one is in very good shape for it’s age. Ya gotta watch them old vans now days. There’s a few guys stuffing mountain motors in the backs. I tried to out run a 70s Dodge so I wouldn’t be behind him when the road narrowed. He put my Challenger in the weeds. Turns out he had a 528 Hemi in the back. Overall I like short vans much better. 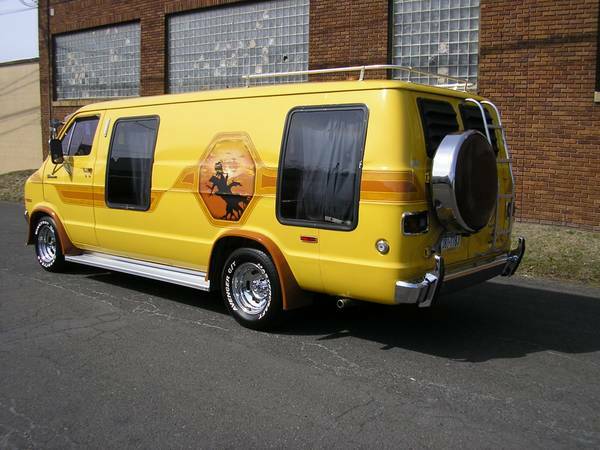 This thing is a disgusting, ugly, horrible vision of 70’s awesome that I wold love to own! The guts look like every house in my neighborhood when I was a kid.